National Public Radio has declared that it is nixing the comments sections on its website. This decision has resulted in a lot of discussion about the merits of comments sections, the nature of online discourse, and NPR's responsibility to the public. We discuss. 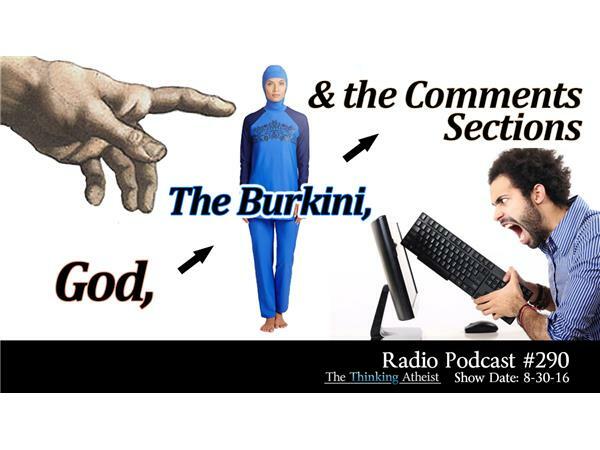 We also speak with Sarah Haider of Ex-Mulims of North America regarding France's (now suspended) Burkini ban, and we finish the show with a reading from Chris Matheson's humor book, "The Story of God."